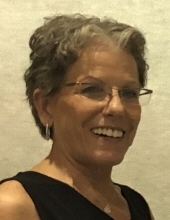 LOFTHOUSE, Jill Annette (Leist) - age 58 of Fenton passed away Friday January 25th 2019. Jill’s loving memory is survived by her daughter Lauren Lofthouse, mother Geraldine (Farnham) Leist, sister Sherry Butler, sister Gale (Bob) Clemmens, brother Barry (Jane) Leist, many nieces, nephews and grand-nieces as well as a multitude of close friends. Jill’s early years were spent in downtown Milford behind the handlebars of her hand-me-down bike with transistor radio in hand, followed by years in the country on horseback. Jill graduated from West Highland Christian Academy where she continued to attend church throughout her life. One of Jill’s passions was enjoying the outdoors gardening and camping with friends. She never turned down a game of Euchre and spent many days driving across the United States. Her giving nature was well received serving those in need, specifically in later years at her place of work, Freedom Work Opportunities. Jill was most widely known for being an incredibly supportive Mother, and a true gift to her Daughter Lauren Rose. She is preceded in death by her Father, Kenneth Leist, and Nephew Brian Clemmens. A memorial gathering will be held on Friday, February 1st from 4pm to 8pm at The Laundry Room in Downtown Fenton to share memories and celebrate her life. A memorial service will be held 12 PM Saturday, February 2, 2019 at West Highland Baptist Church with visitation from 10:30 am until the time of service with a luncheon to follow the service. In lieu of flowers donations can be made to The American Cancer Society and Freedom Work Opportunities. To send flowers or a remembrance gift to the family of Jill Annette Lofthouse, please visit our Tribute Store. "Email Address" would like to share the life celebration of Jill Annette Lofthouse. Click on the "link" to go to share a favorite memory or leave a condolence message for the family.